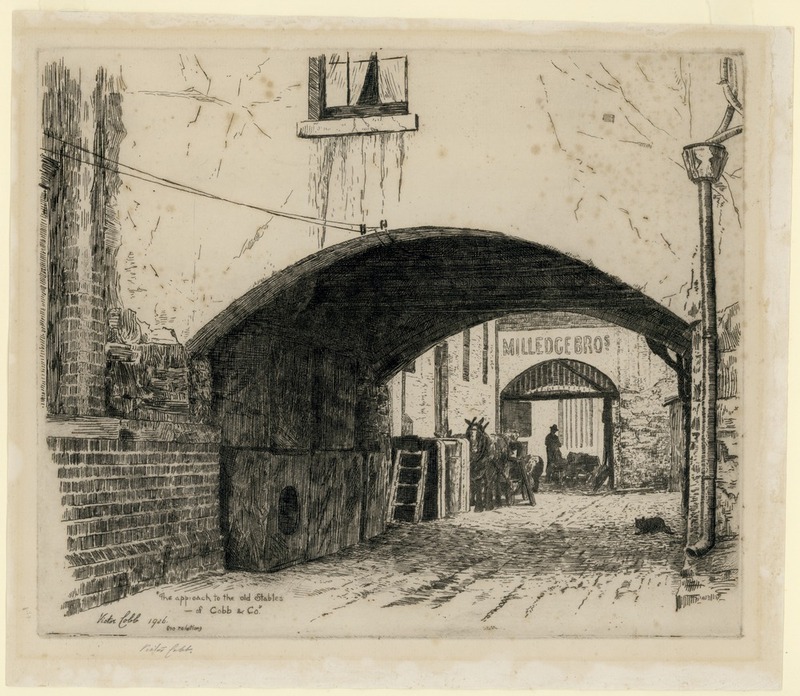 The Library’s works on paper digitising project involved the creation of 11,000 digital files and catalogue records. Because the works varied in size, format and medium the digitising had to be approached in several ways. 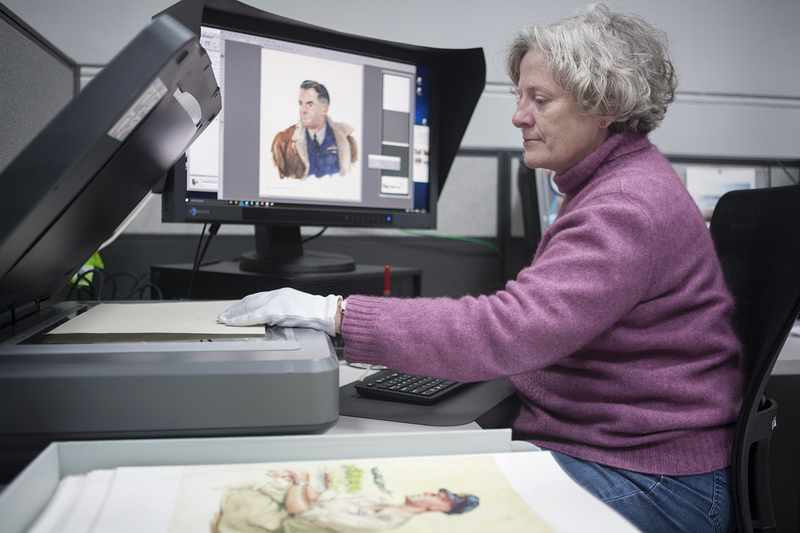 The smaller artworks, those up to A3 size, were scanned on a flatbed scanner (we used an Epson Expression 11000XL). After scanning, each file was processed, which involved colour balancing the image using a greyscale swatch to ensure that the colours were as close as possible to the original work. 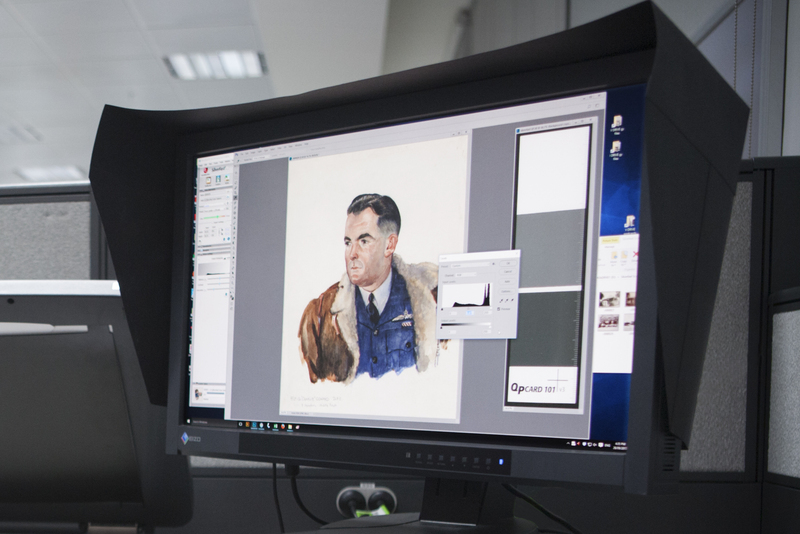 All works were digitised to our minimum standard of 300dpi at A3 size in order to capture fine detail in the work. For images that are out of copyright or available to be used, the original tiffs can be downloaded for free via the Library catalogue. The final file created is a TIFF, which can be anywhere between 50MB and 300MB in size. The ‘Discover Australia with Shell project cards’ collection includes 117 original artworks for cards that were distributed at Shell Service Stations in the early 1960s. The collectors’ albums, which the Library also holds copies of, proved to be a valuable source of information for the cataloguing of these works as they include printed descriptions for each card. 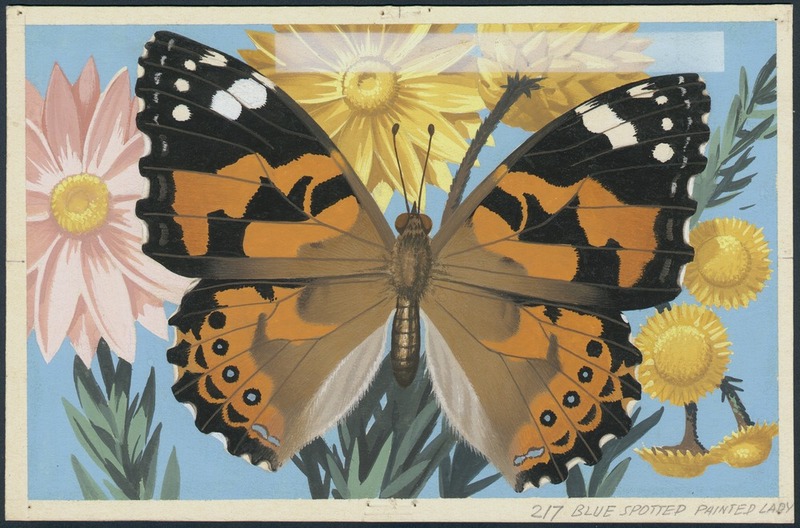 The ‘Butterflies and moths’ series is one of our favourites, with names like ‘Regent Skipper’, ‘Blue Spotted Painted Lady’, ‘Northern Jezabel’ and ‘The Cruiser’. 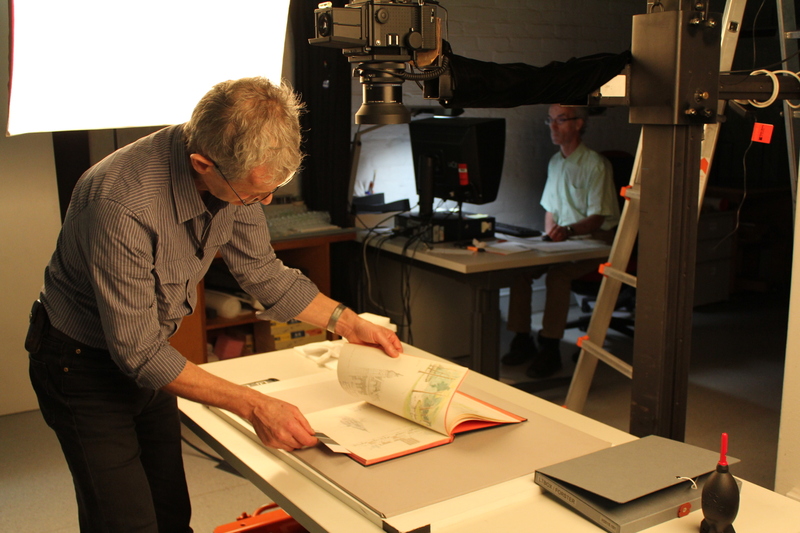 Large or fragile works and bound material such as sketchbooks were digitised in the Imaging Studio by a team of photographers. We used Mamiya RZ67 cameras coupled with Phase One P65+ digital camera backs mounted on a copy stand with two flash heads for even lighting. Once each image was shot, the colour balance and exposure were checked, and minimal adjustments applied to make sure the digital image represented the original. 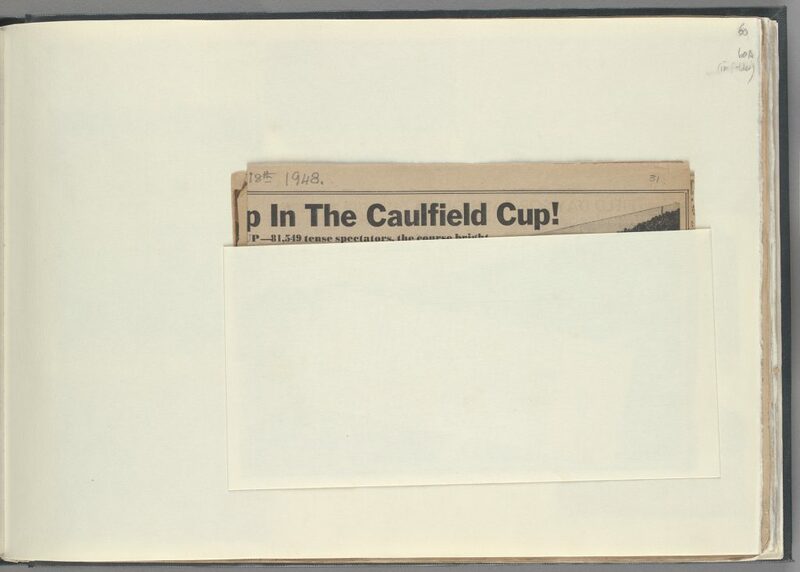 Below is a sketchbook by Charles Hammond which contains newspaper clippings related to the artist’s sketches of the Melbourne Cup in 1889. To replicate the experience of viewing the original item, each page has to be shot multiple times, the clippings removed, unfolded and carefully positioned and flattened for capture. Victorian Racing Club’s spring meeting. 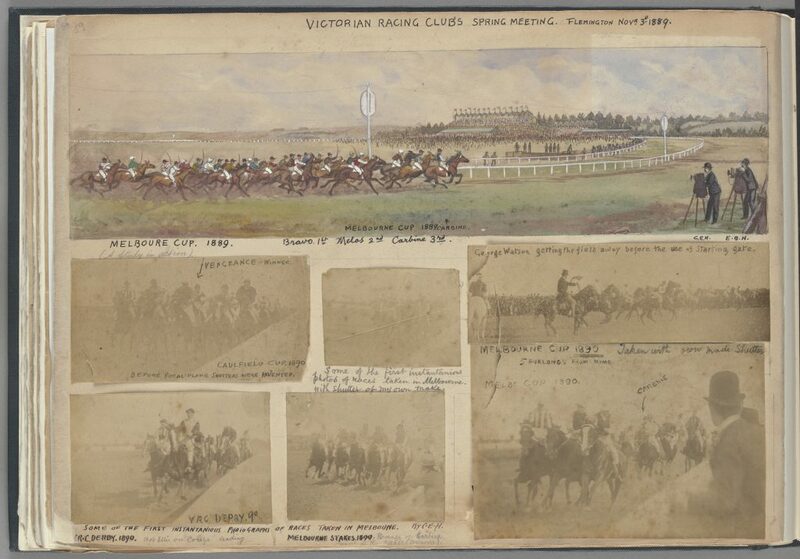 Flemington Nov 3rd 1889. 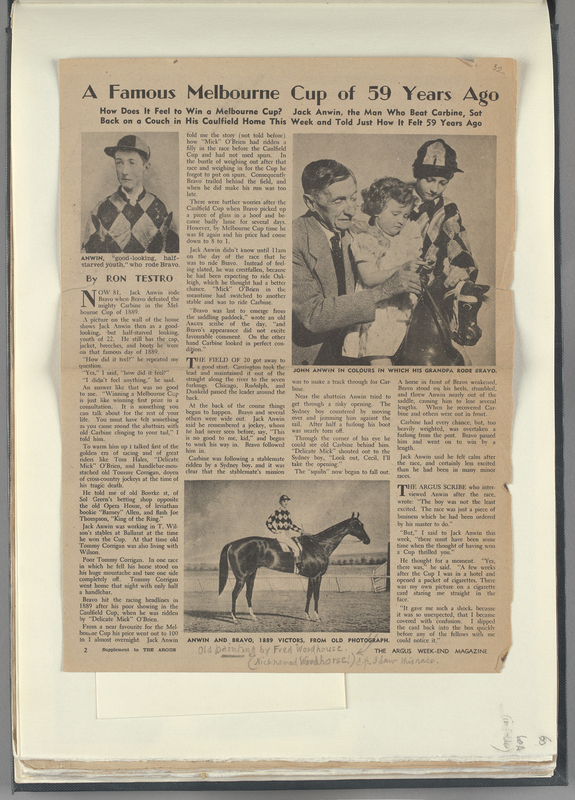 Facing page containing envelope with newspaper clipping folded inside. First of multiple images taken of the newspaper clippings. 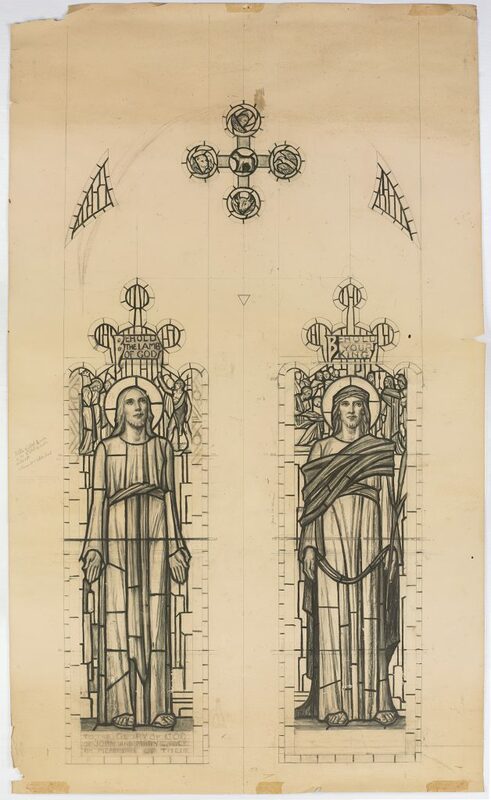 This stained glass window design by Napier Waller (2.5 metres long and 1.5 metres wide) needed to be shot as close to the ground as possible to maximise the camera’s field of view. Several images were created and then stitched together to produce the final image. The final image is over 300MB in size and you can see here the amount of detail we were able to capture. The cataloguing work for this project involved creating detailed bibliographic records for each work. This included adding information such as: title, creator, date, description, copyright status, subject headings, general notes about the condition or physical features of the work, source or donor information and biographical notes. Pictures collection staff provided essential information about the works and the artists, including the copyright status of the work. 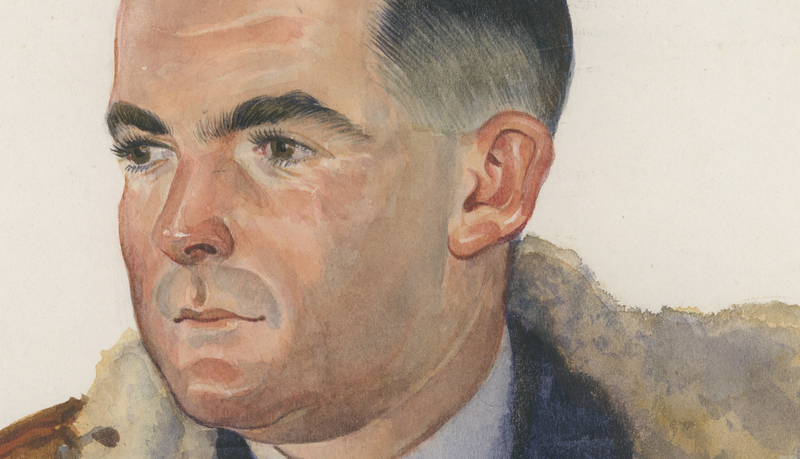 The Pictures provenance files provided valuable historical background information and helped us determine the date of birth and/or death date of the artist, and with luck some biographical details. The provenance file sometimes also provided catalogues of exhibitions by the artist or the name of the gallery from where the art was purchased. 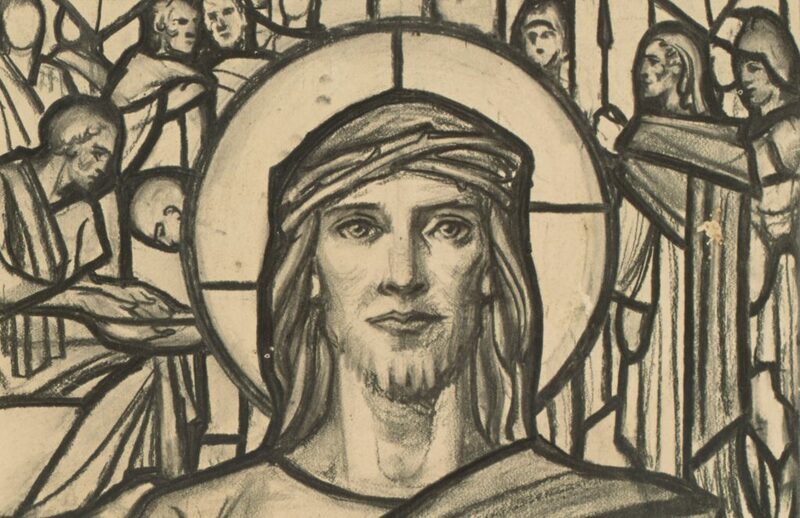 The gallery website provided information regarding the work and its provenance which was included in the record as an exhibition note, and in the Library’s files as one of the proofs of authenticity. 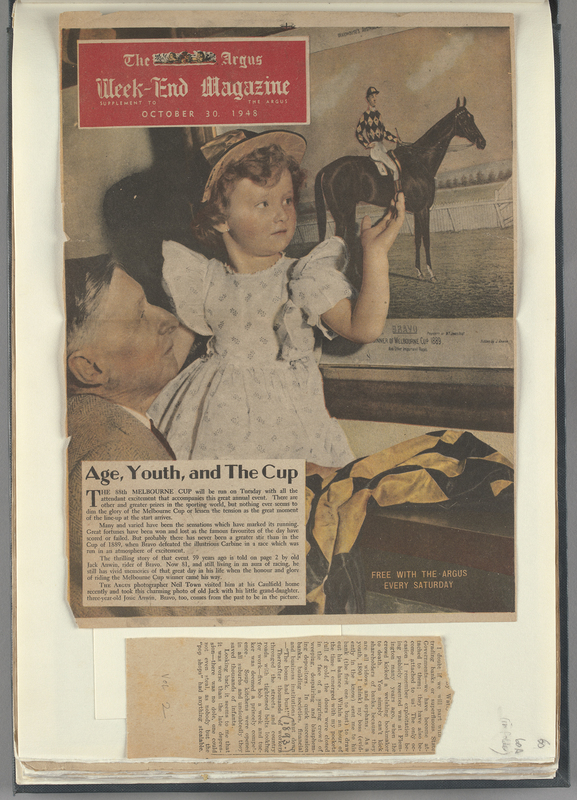 For further information we also searched the Australian Dictionary of Biography or Design & Art Australia Online. Other specialised resources such as the Museum of Modern Art Glossary of Art Terms were useful for descriptive terms (e.g. surrealist, Bauhaus, Belle Époque). Name authority records were created to describe the artists and allow the cataloguer to distinguish between two artists with similar names or to account for name variations. This also means that works by the same artist can be linked together in the system, enabling the user to follow a single link to the artist to bring up all their works. Over 920 authority records were created or upgraded for this project. 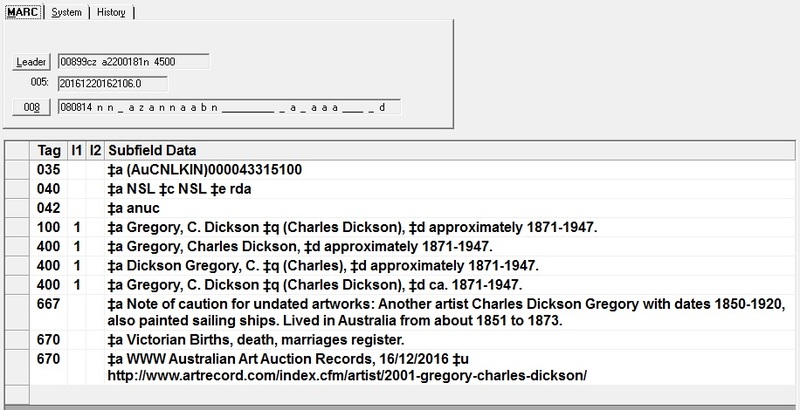 Authority record for Gregory, C. Dickson (Charles Dickson), approximately 1871-1947. 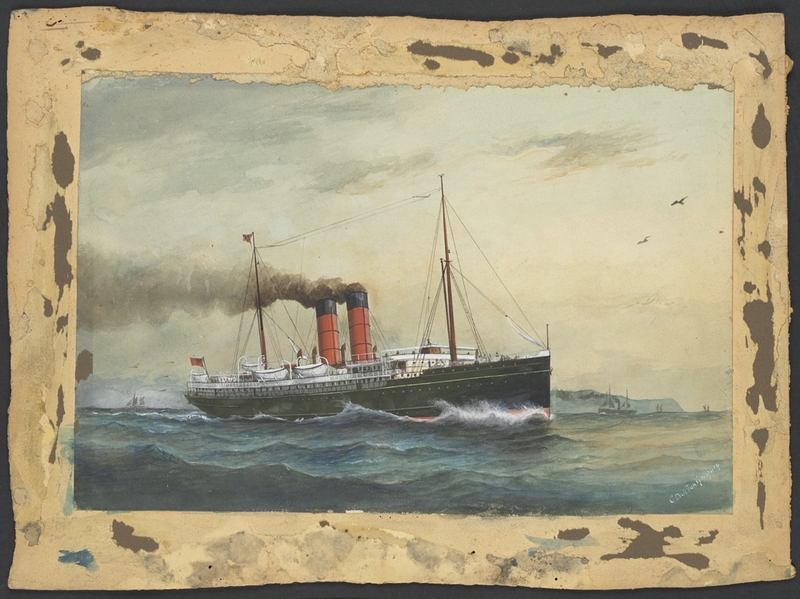 When researching the artist Charles Dickson Gregory, it was discovered that there were two men with the same name, both British, both worked in Australia and both painted sailing ships. While not quite contemporaries they were close enough to cause initial confusion. The provenance file originally had Gregory’s dates as 1850-1920, however these were the dates of the ‘other’ Gregory. 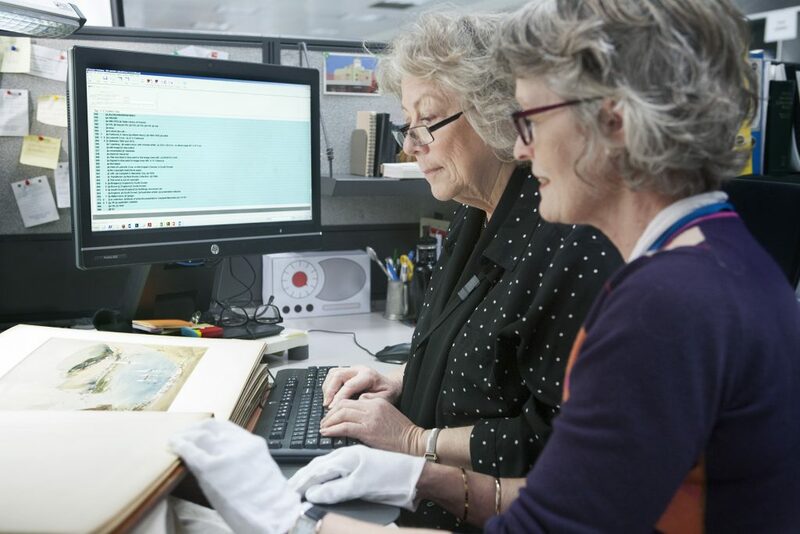 A search on Australian art auction records online revealed there were two Gregorys which cleared up the confusion, however the auction site had two separate dates for the ‘other’ Gregory and also listed him as having works in the State Library which was incorrect. To avoid confusion in future, an authority record was made for the name that wasn’t needed, with a note of caution for the undated works. 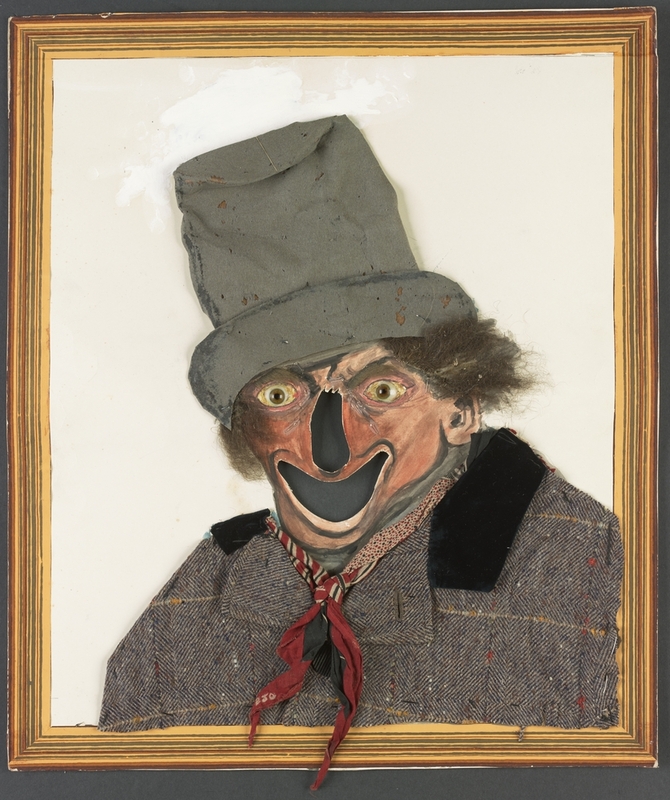 Another favourite is the collection of theatrical masks painted by Samuel Wells. The masks were designed to be held in front of the actor’s face and contain real hair and porcelain eyes. The masks were made for Bland Holt who was a very popular producer, actor and entrepreneur in the 1920s. Holt used trained pigeons, cars and even a stag on the stage, and he once rode a horse along Little Bourke Street and straight onto the stage at the Theatre Royal (where Target is now). 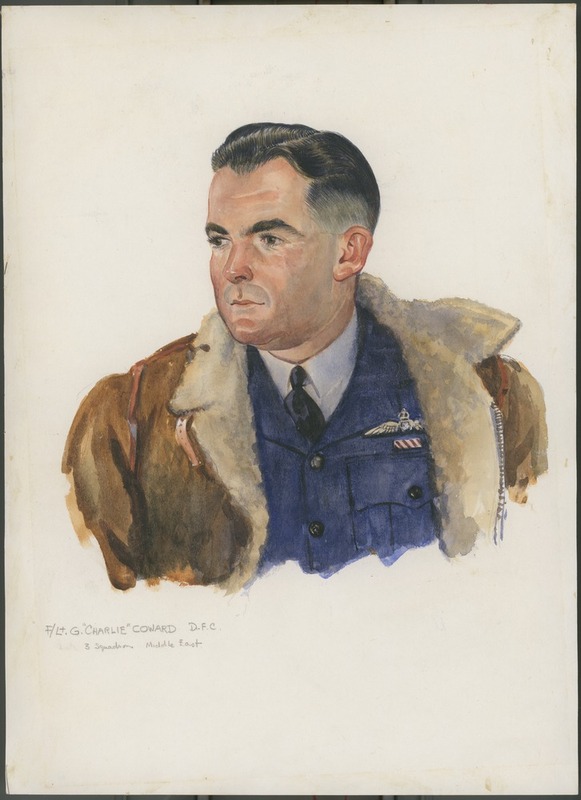 In researching the artist (Samuel Wells) it was discovered that Wells was stationed in 1914 at the garrison at Point Nepean when the first shot against Germany by the British Empire was fired, and a painting of his depiction of this event is held at the National Library of Australia. Apparently, Wells is also responsible for the Geelong Football Club being the Cats – he was a keen Geelong supporter and in 1923 he suggested, by way of a drawing, that a black cat would give Geelong the luck they needed to beat Carlton – it worked and from then on they have been the Cats. I like the ‘Discover Australia with Shell project cards’ collection. Where can I find the collection in the State Library? using the terms: ‘Discover Australia with Shell project cards’. Then Select ‘Show only Online items’ under the ‘Results’ list. 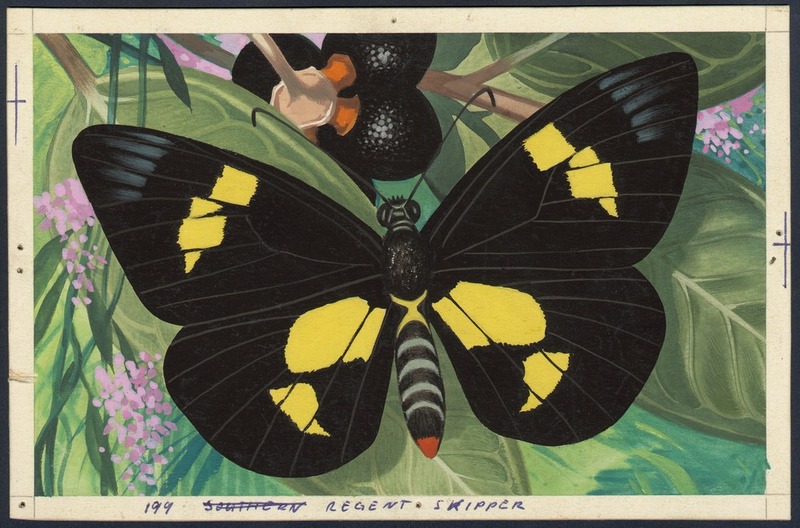 The links from this Blog for the Shell project card images of the ‘Butterflies and moths’ series the Regent Skipper, H2006.47/1031 and Blue Spotted Painted Lady, H2006.47/1049 will also take you to the catalogue to search for further images under the collection name.